Eucalyptus Globulus is also known as Blue Gum or White Eucalyptus. Its veneer presents a coarse and open texture that might vary depending on the cut direction and the tree itself. 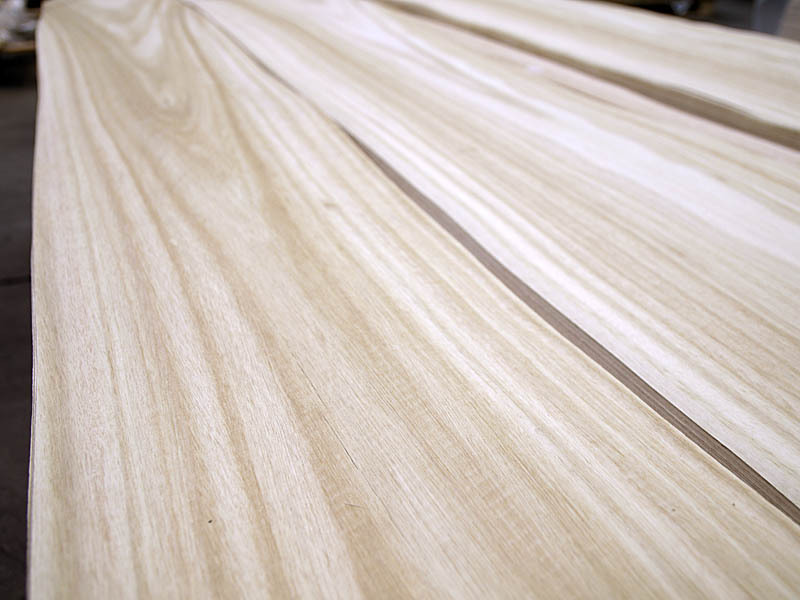 It is easy to find curly and figured White Eucalyptus which makes possible original wood veneers as those offered by CHANNEL VENEERS. Eucalyptus Crown Cut presents a natural wood surface that is light coloures and rough textured. Heartwood of Eucalyptus is a light yellowish brown. 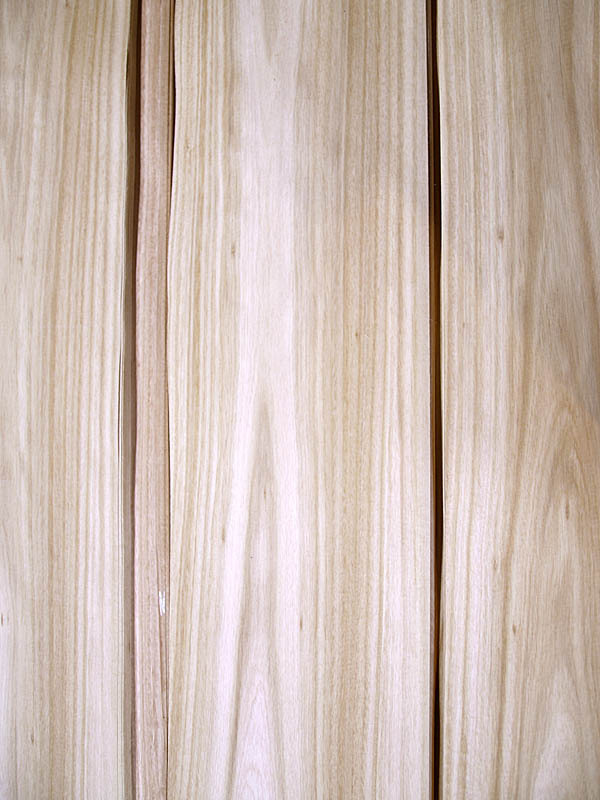 Sapwood is usually narrow and is between a pale gray to light white. It`s appearance has been compared to Black Cherry and light Mahogany. The colour of Eualyptus is more goldy and the texture is rough and no so homogeneous. The Eucalyptus tree is native to Australia, New Guinea and Indonesia. In temperate climates grows Eucalyptus Globulus while Grandis and other subspecies are more common in tropical regions. 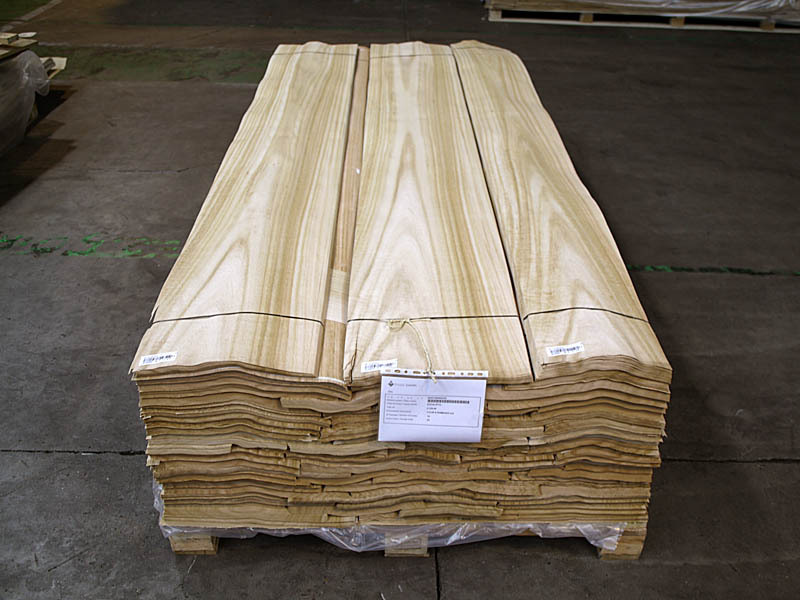 Although it is a fast-growing species, heartwood is a hard wood, very strenght and durable. Those physical characteristics are better than the ones from Oak, but the dimmensional stability is poor and timber is also difficult to work with. Eucalyptus wood also tends to have many internal stresses and drying difficulties. Therefore this trees are mainly planted for the pulp industry that takes advantage of its short fibres. As shown in the pictures above, CHANNEL VENEERS proudly offers the best logs of Eucalyptus Crown Cut. This makes possible to provide wide bundles in full lengths, most of them over 3.10 meters. 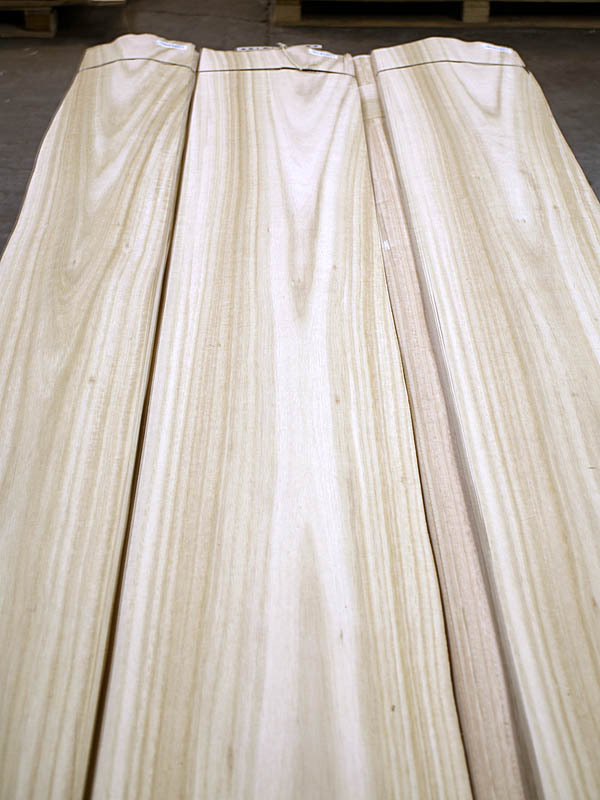 The veneer of Eucalyptus Crown Cut is a product that fits to many different decorative purposes. Therefore, the company usually stocks different bundle sizes and qualities. Please, Don’t hesitte to contact directly if you are looking for a certain amount or an special quality of this product.